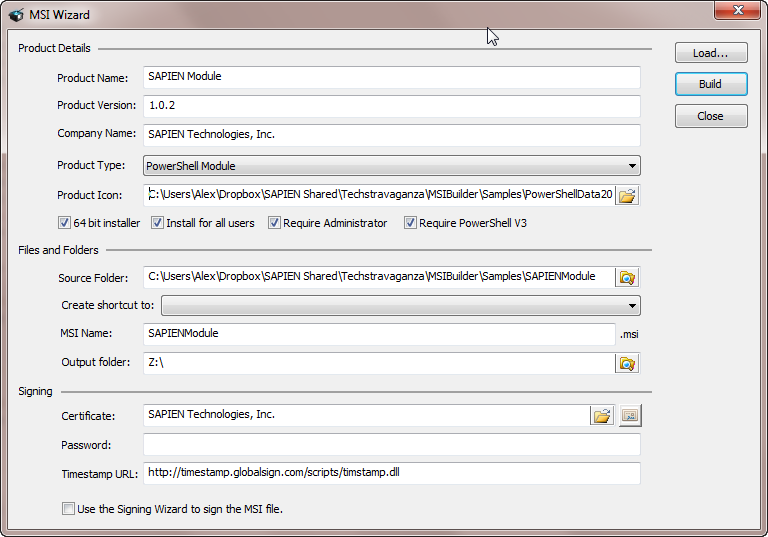 The Script Packager has been a key feature of PrimalScript for many years now. Devised originally in the Windows 2000 era, it has some features that simply are no longer relevant or applicable in modern Windows versions. As many of you know, the packager has the ability to self-extract data files and COM objects when invoked. In that regard, packages work very much like a self-extracting ZIP files. Obviously that method did impose some size limitations, but it has worked well for many years. Starting with Windows Vista and Windows Server 2008, this self-extracting nature of script packages became more of a problem since writing data files to a “Program Files” folder requires elevation and writing COM objects to “System32” is very much discouraged unless you do it from an installer. Many real-time malware and virus scanners also generate alerts with this type of data file extraction. To make a long story short, the proper way to deliver data files, COM objects, referenced assemblies and PowerShell modules to your users along with your script application is by using a Windows Installer file (MSI). 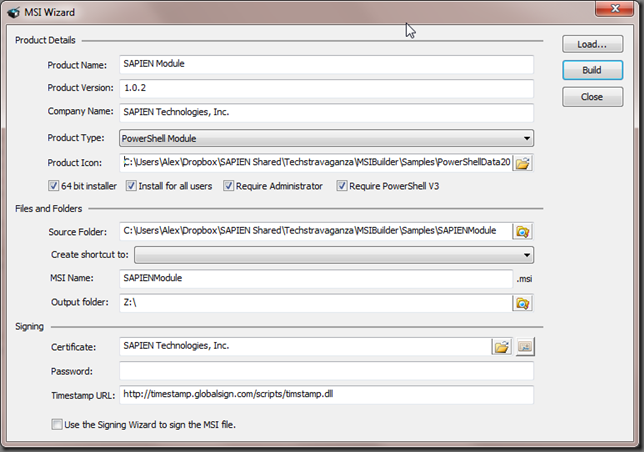 The next version of SAPIEN products will include a new packager with many new features and will also include a simple way for you to produce MSI files for your scripting solutions. We know that for some of you this transition from self-extracting EXE files to a Windows Installer for your product is not something you can do overnight. We understand how busy you are and therefore don’t want to surprise you with removing an important feature and telling you to substitute it with something else. So we decided to release a part of the 2014 products very early as a preview: The MSI Wizard. You can freely use this application to create installers for your scripts, applications or PowerShell modules. The installers you create will work on any modern Windows installation and are not limited in any fashion. As always, if you have any questions, suggestions or feedback, please feel free to hop over to our support forum and post in the appropriate section. You can also stop by the SAPIEN booth (2211) at TechEd 2013 in New Orleans and chat with us. Excellent – this also allows us to set up scripts to be distributed by Group Policy. As you know GP Software Distribution only works with MSI files.